Washington Care Pharmacy makes every attempt to fill our patients’ prescriptions in a timely manner. Most prescriptions are filled in five minutes or less. 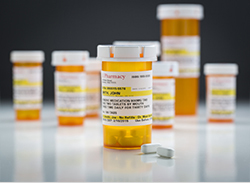 Patients also have the option of calling in prescriptions so that when they come in to the pharmacy, they can pick up their prescriptions right away. Refill your prescriptions now on our website! One of the services that make us unique is our free delivery. We offer this service to our patients because we know that everyone’s situation is different. Whether the patient is elderly, their work schedule won’t allow them to come to the pharmacy, or they have a sick child at home, it is always our top priority to get the patient their medicine. 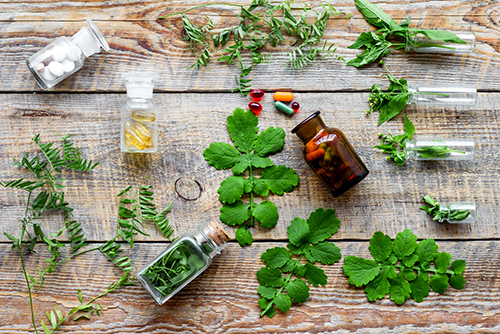 Our pharmacists provide a comprehensive medication review with patients in an effort to improve the desired outcomes. This may include counseling on the correct usage of medications, drug interactions, methods to increase medication adherence, and ways to save the patients money. This service is paid for by insurance and improves the patient’s overall medical care. Your medications will be sorted and packaged by your pharmacy, each dose personalized just for you. Your pack will come clearly labeled with the date and time of day is color coded, so you feel confident you took the right medication at the right time. No more guess work and no more pill bottles or boxes. Dispill packaging is very portable, perfect for travel! Pre-packaged doses safely filled by your pharmacist. The top of each individual blister cell lists your name, the medication within and the time it should be taken. Your Dispill® pack is color-coded by morning, noon, evening and bedtime doses. You’ll always know exactly when to take your medication. Individual, detachable blister cells for convenient medication on the go. For more information please call or stop in! 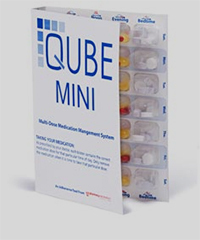 Qube-Med PackMulti-dose cards are ideal for patients who need extra assistance with taking their medications. Organized by time of day, all medications are together and ready to take without the need to fumble with multiple bottles. The packaging comes as a 1 week card with 4 different dosing times available. It is arranged by day of the week and comes with a medication list identifying all medications present. Contact us by phone, send us a note, or come by the store for more information on multi-dose packaging. Our professional staff is ready to help you.